The job of a Sunlighter, collecting lights spirits to light up the sun ... every morning ! A bit buggy (you can die while trying to respawn, lol), a bit confusing - the text tips help, but they don't provide all of the required information. And it's too dark, which only adds to the confusion: the game tells you to go into the darkness, at the same time saying that you'll die if you stay there for too long, and there are no visible light sources ahead. Besides that - good submission, lots of mechanics and abilities that the player character gains gradually, and they do change the pace and the gameplay a bit. And the way lighting works is also nice. 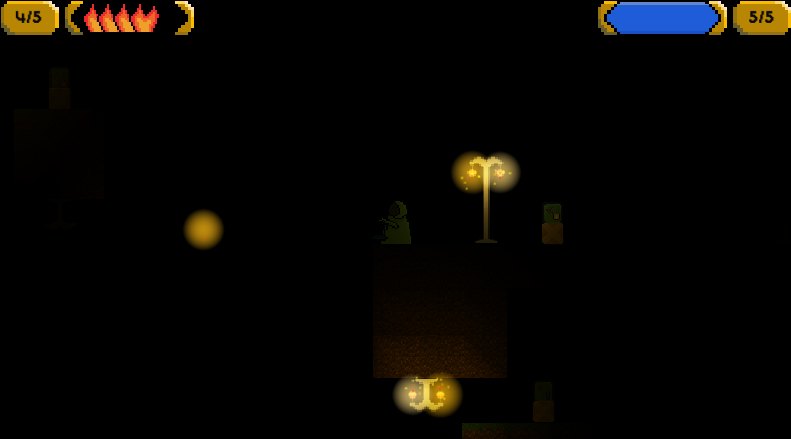 For respawn I normaly forced the checkpoint's lamp to be on when you die ! 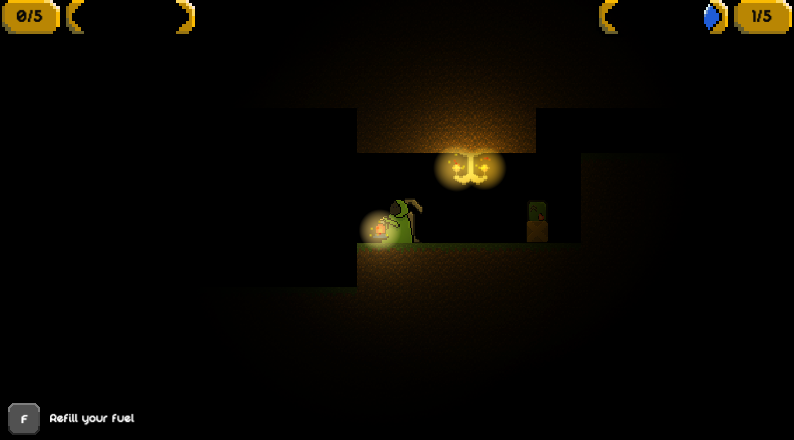 I know also there is a light bug on the right part of the map, where it is pretty dark, I'll try to fix it. Most of the time I tried to put a lamp in range to another in order to avoid the random go. Can you tell me on which part you couldn't find a light source close enough ? or you felt lost ? I felt lost almost all the time. 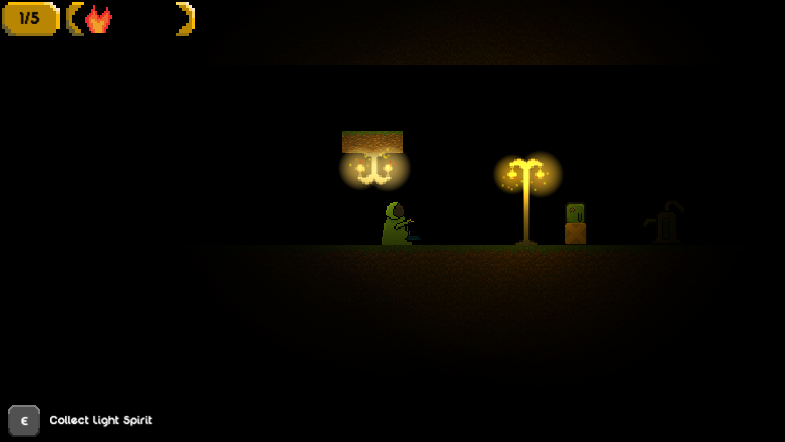 It's just too dark for me, I can't see the lamps at all when they are turned off and there's no light sources close by. I can't see anything in darkness actually. My monitor is a gaming TN-matrix, it doesn't work well with gradients, and too dark a scene looks just like total blackness. Humm I see, I should had a luminosity parameter to set up at the beginning ! It is a nice game. Light mechanic was good. Some help about direction could be good though. Some sound can help too. Generally it is fine. Story is a good addon. Most games in the jam doesn't have one or just not related to general game design. Pretty nice submission! The Graphics and gameplay were really good! Character progression(!!) one very cool point of the game! While the upgrades weren't exactly the ones I was hoping for-- to think "Wow! I really needed this! ", still give quite some life to the game. Still, good job on keeping the game balanced. It's hard to not go overboard and add like some super OP upgrades. Ohhh thanks for your time dude ! Hey there is a "Activate light around you for a while" ! Damn, lol.. I even read the controls twice but just brushed it off as a mistake "shift? pff I light them with "E".. please.."
Very mechanically sound game! It heavily adhere's to the theme of light in its game play. The game is also very well paced in its introduction of new mechanics. 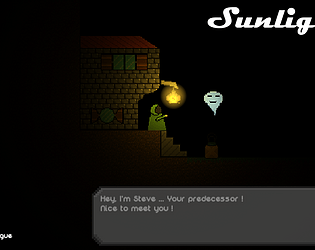 It allows for the player to get used to one mechanic before giving them a new one to work with. 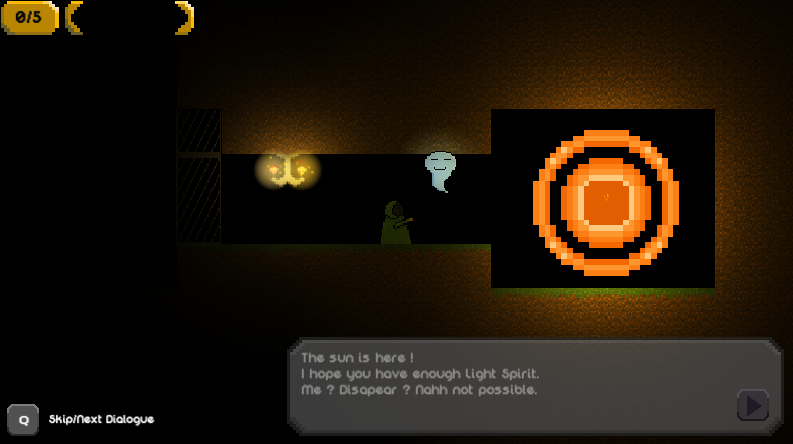 The level is surprisingly (and pleasantly) large for being made during the course of a game jam and is well designed. One thing that was unfortunately hindered the game for me was the lack of any sounds. Even a simple sound for progressing through the dialogue boxes would have been a great improvement to the games quality of life. All together, a very solid game that is impressive in its scope for being made during a game jam. I'll try to update it adding a music them and some sfx !